RezSaver has a quick and easy-to-use basic search function that makes simple to start searching for the perfect cruise. But, what if an agent needs to be more specific? Rather than having to manually sift through the results to find what he or she needs, Vecto Technology has the answer. Advanced Cruise Search is RezSaver's most powerful search tool. 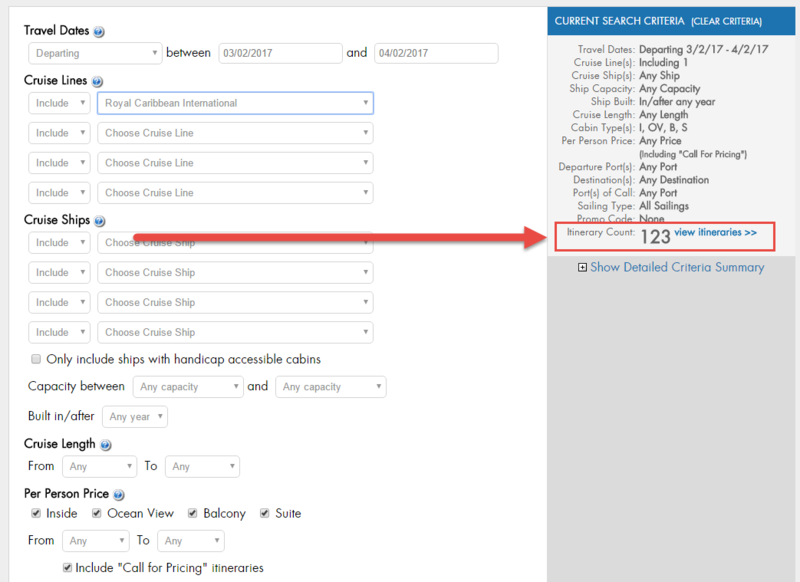 Use multiple options to find the exact sailing needed, without having to view any sailings that do not match the client's criteria. RezSaver uses a unique live itinerary count to fetch the number of itineraries that match the current search parameters. As more criteria are added, the itinerary count updates automatically. The live itinerary count helps narrow down the search parameters to exactly what an agent needs, without running the search over and over.